Eye makeup? Stick with what im doing or try something new? So I kind of want to try a new makeup style. But yeah i kind of want to try something new but I don't know what. I have brown eyes so i stick with black eyeliners and mascaras and browns/neutral eye shadows (if i wear eye shadow). Colors dont really do well with my eyes and if i do anything too dark it doesn't end up looking that great (To me at least). but i want something simple and easy to do and something that doesn't look like i have caked on makeup. the more natural the better! so what types of makeup styles would you suggest? or should i just stick with the way i do it now? I love the eye makeup in the picture. I think you should stick to it. It's literally perfect to me. It's not over the top, and it's not too simple. If you're wanting something new you could try more so of a dark smokey eye, but since you want something with neutrals, i'd rule this one out but it's a try incase you find you like it. You can also use lighter colors to do the smokey eye. It's a dramatic look and it's gorgeous as well. You can use beige and light browns with dark browns to create smokeys as well. haha im glad! :) nothings worse than hair/makeup malfunctions! I hate eyeliner on the bottom lashes! It's a personal pet peeve but I know lots of people like the look. & actually since you have brown eyes you can wear literally any colour! Coloured eyes are the people that have to be choosy. & it really depends on your eye shape on how you should do your make up. Google and YouTube eye make up tutorials and try out a few different things to decide how you like your make up to look. We can't tell you! Ah that looks pretty. If you practise doing it often enough you'll be able to get it done quickly! I can now do a smokey eye in less than 10 minutes :) used to take me like 25-30.
hmm i never thought about mixing color with brown.. ill try that out! thanks! I like your make up that you do right now. I do the same. 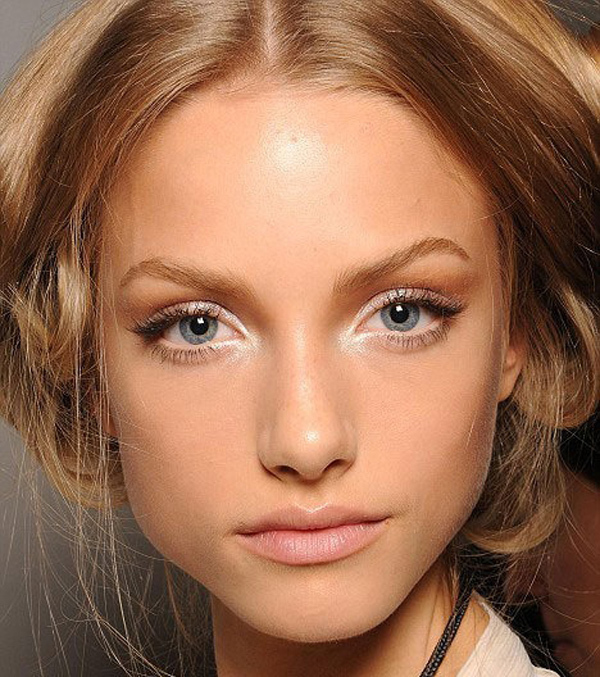 You can try and use very light (champagne, beige colors) eyeshadow on your whole eyelid and also mascara. This will make your lashes pop out more. Its very simple and looks good (to me). well, i can make a few suggestions. my eyes are a light brown so sometimes not all colours work. anyway, imma start by saying dont b afraid to try new things. try different liners. blue and green look amazing, believe me. just keep it simple but fun:) natural is always best i agree. fair enough, if you're not comfortable then dont do it. but u said you wanted to do something new, and sometimes going out of your comfort zone is the way to do that. Home > Fashion & Beauty > Eye makeup? Stick with what im doing or try something new?